In May of 2004 SBIG began including a custom Pelican carrying and storage case with the ST-2000XM and ST-2000XCM models. This case is dustproof, waterproof and crushproof and carries a lifetime guarantee from Pelican. As of the date of this announcement, we are also upgrading the version of TheSky software by Software Bisque that we include with the ST-2000XCM camera from version 4 to version 5, a $129 value. If you have a Macintosh computer running OS-X we will even throw in Equinox camera control and planetarium software for the Mac as well! A Linux acquisition program is free and other Linux software is also available. 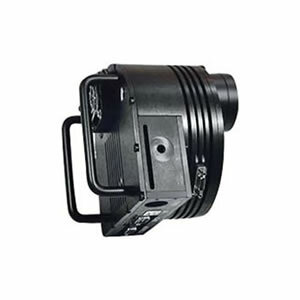 We continue to include CCDSoftV5 in addition to CCDOPS version 5 the most complete package of camera control, image processing, astrometric, star charting and planetarium software available with any new CCD camera from any manufacturer. 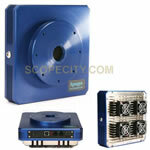 Upgrades are available for most of these improvements for ST-2000XM camera owners. 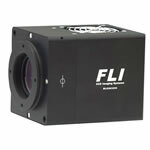 2 Megapixel KAI-2020CM imaging CCD with reduced read noise, lower dark current and 10X reduced bright pixels. Built-in TC-237H CCD autoguider with 10X the sensitivity of an ST-4 (TC-211 prior to 8/18/03). New I2C bi-directional expansion port, compatible with the new CFW-10 filter wheel. Custom design hard carrying case with pre-cut foam for your camera and accessories. 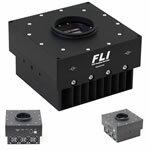 FLI MicroLine CCD Cameras, E2V CCD47-10-1-354 FRONT ILLUM. 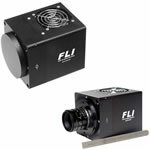 FLI ProLine CCD Camera, E2V CCD42-40-1-383 Front ILLUM. 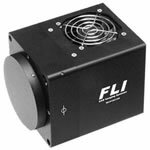 FLI ProLine CCD Camera, E2V CCD42-40-1-368 Back ILLUM.